If blessings or increase happen to an unprepared person, he will definitely fumble because he has not the ability to properly utilize the blessings or manage the increase. …Some people mess up with their marriages because they are not mature enough for that level of responsibility nor have they developed their ability to relate properly with people around them. …Some people get hold of power and/or money and practically become terrorists because they are not fit to manage them properly. … Opportunity for uplifting comes to others and they cannot be considered for them because they are not fully equipped professionally. When the widow of the prophet in the fourth chapter of the book of second kings ran to Elisha about how she was in debt and the creditor was threatening to take her sons from her, he asked her to go borrow vessels. She had to prepare the container first. Not until she had done that did the blessing in form of the oil begin to flow. Even Jabez prayed that God should enlarge his coasts. You need to build your capacity for the blessing you so desire. In other words, prepare yourself for the height you look forward to; groom yourself for success. When it comes to building your capacity, you must be ready to go to the farthest length and make the greatest form of investment possible. 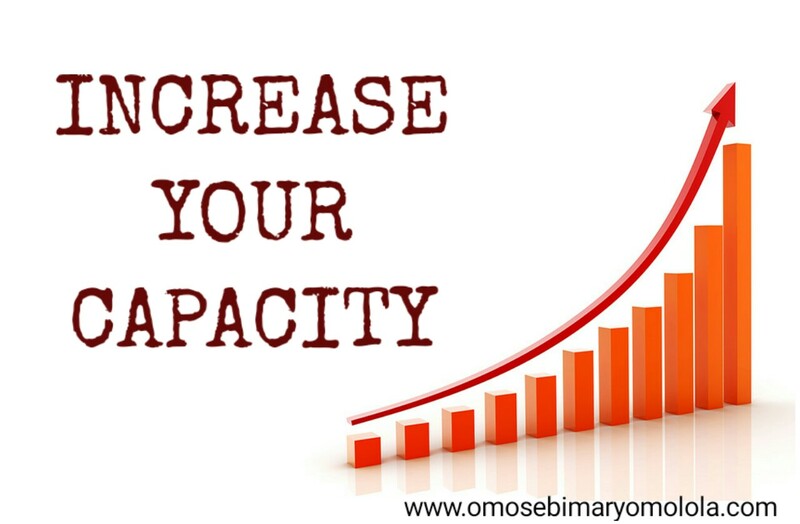 How can you increase the capacity of your vessel? Do things that will make you grow in all ramifications. … Eat the Word of God like no man’s business. … Dedicate time to fellowship with God like never before. 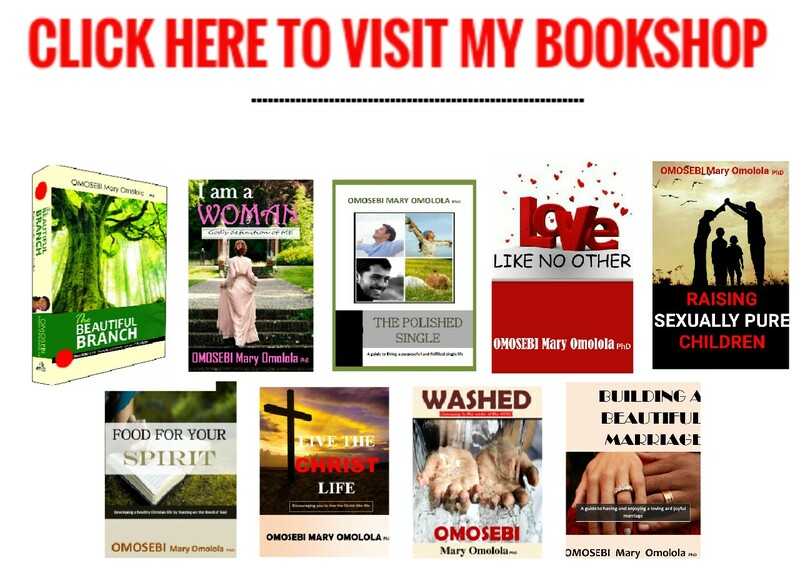 … Read books that will grow your understanding and prepare you for what’s coming in the future. … Develop strength of character. … Improve your emotional intelligence. … Go back to school and get better educated. … Borrow like that widow if you have to. Just make sure that you enlarge your vessel. Look inwards and discover in what aspects you need to build your capacity. “Study to show yourself APPROVED unto God” says Paul to Timothy. Timothy was admonished to invest in himself so that he could become fit for the height that was prepared for him. In the case of the widow that I began this post with, the oil ran out immediately there were no more containers. Some people don’t get their blessings because they don’t have the capacity to hold it in while those who get those ‘blessings’ without being fully able to take them on are those that mess it all up. I pray that God will grant you deep understanding of these words in Jesus’ name! I love this. More power to you! 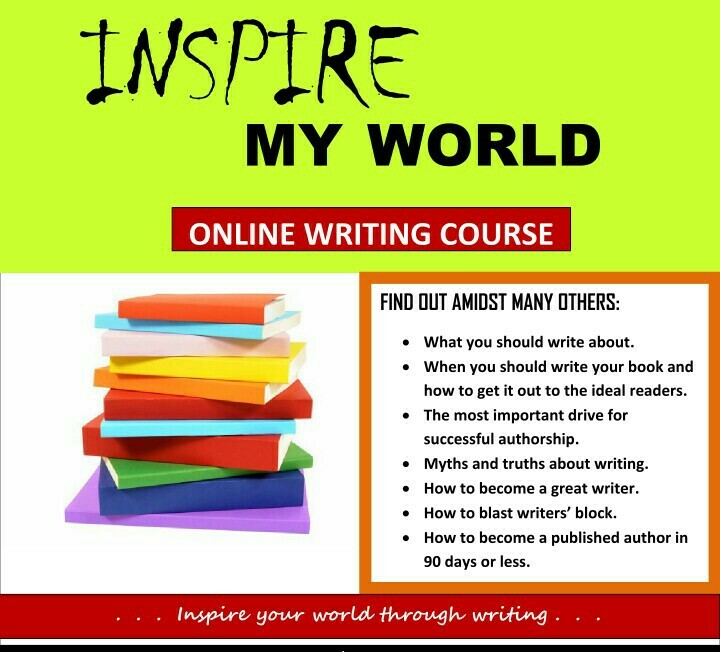 You’re so on point Mr Ogundele. Thanks for your kind words of encouragement. I appreciate your feedback. This really blessed me. Thank you sis. I am so glad to know that this blessed you Sis Oluwalonimi. It’s so good to know that this blessed you Atinuke. God bless you for blessing lives. I appreciate you MA. God bless you too.